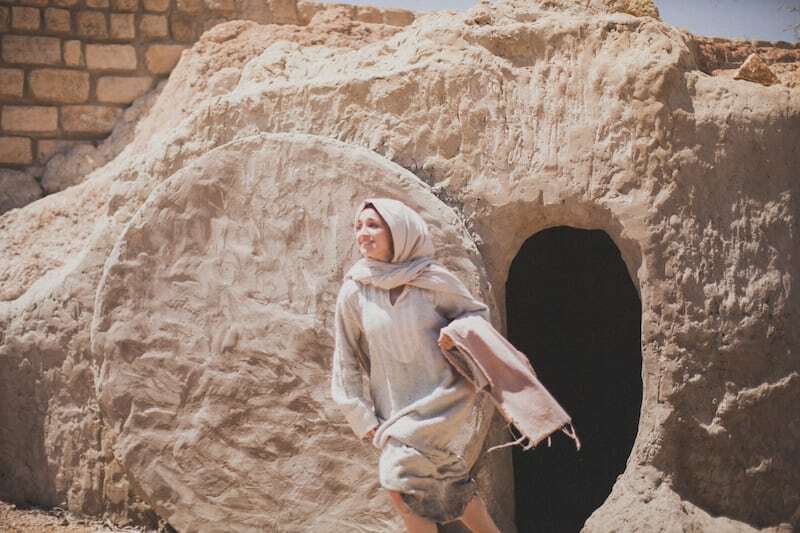 The women approached the tomb in the twilight of Resurrection morning passionately seeking a way to honor the Lord Jesus with one final act of worship and love. They came to anoint His body for burial. Perplexed and deeply troubled, they asked themselves, “who will roll away the stone?” The Bible says that the stone, which was quite large and certainly too heavy for them to move, was already rolled away and the tomb was empty. Their awe and wonder continued as they were greeted by the angel of the Lord, saying, “Fear not, for I know. . .” The angel, God’s messenger, brought an amazing revelation to these faithful women: He knows! They came to the tomb of Christ but found it empty for Jesus had risen! They came to offer worship and left with hearts filled with hope and wonder – and a commission to go and tell the Good News. The stone has been rolled away – no longer guarding the dead – now a trophy and triumph of Life! Are you facing a “stone” that seems impenetrable? Are there barriers in your path that are too heavy, too large and too difficult to face on your own? Each of us has received this very same good news that came to the women on Easter morning – He lives! He knows! And He has removed the stone! As I write this good news, I am preparing to travel with our Women in the Window International team to minister among the women from Sudan who are forced to live as refugees in neighboring nations. Their faith is undaunted as like these holy women of old, they approach the barriers in their life with unwavering devotion to Jesus our Lord and Savior! Per their request, we will provide Leadership and Microenterprise training tools that are transformational and reproducible in their context and culture. We are confident that our training will offer them new ways to provide an income and better ways to serve as leaders. But we are even more confident that we will receive fresh revelation that He is alive, He has removed the stone, and He knows as we learn so much from these triumphant women of God! Praise God with us for the way Christ was exalted and that He ministered to all present at our recent Dignity and Design International Fashion Show and Silent Auction. 230 women and men attended, more than $70,000 was given already, and 24 volunteers were enlisted so far! April – WiW team departs for Uganda this Friday! 2. Health training for Syrian women working among their own people living as refugees in the Middle East.